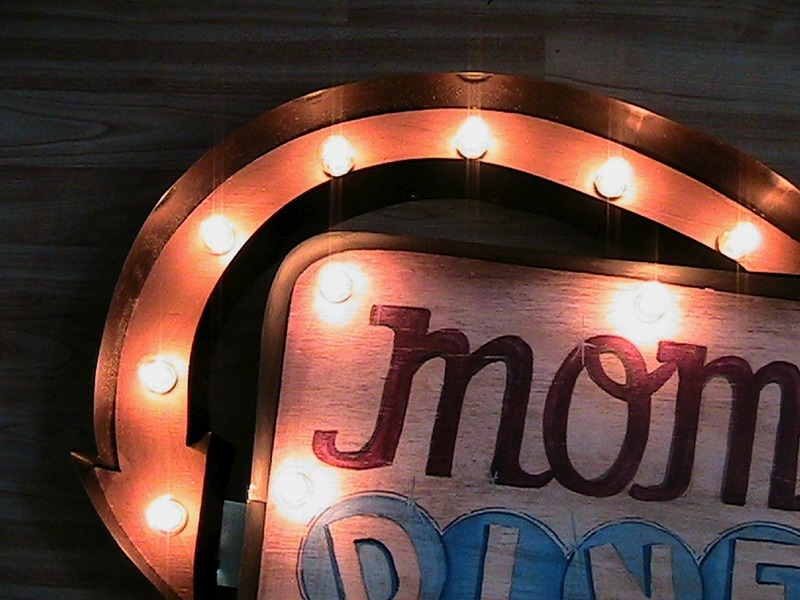 We've added 2 new "electrifying" primitive vintage marquee light up signs to The Electric Moon's collection of sparkle, shimmer, and SHINE! 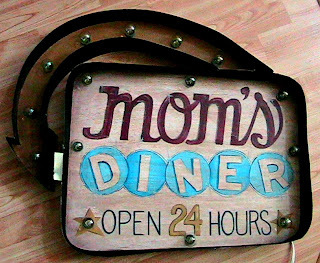 For all those round the clock Mom's that's kitchen's never seem to close! 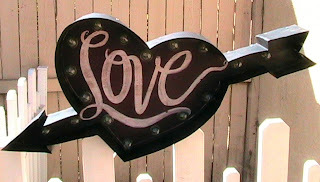 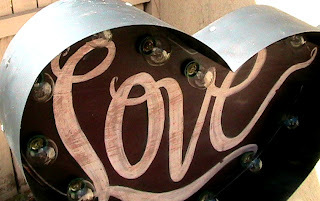 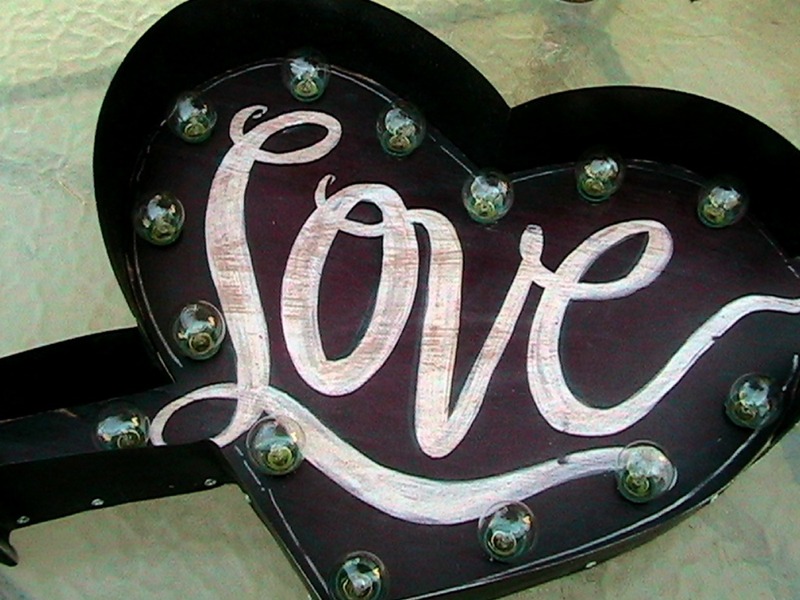 For the perfect touch when you've been struck by cupid's arrow...perfect for weddings and bridal shower decor! Ooohhh! 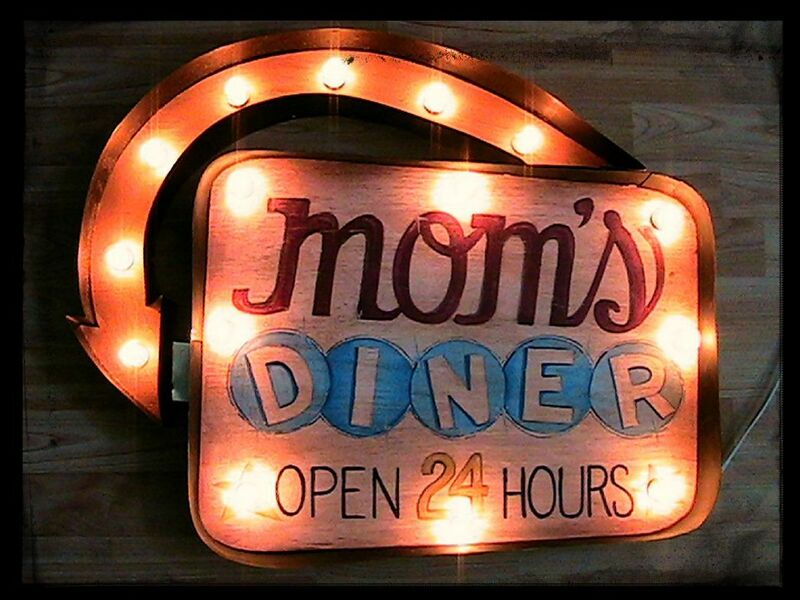 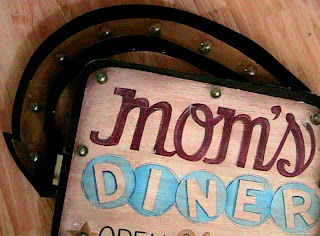 That Mom's diner sign is sooo coool!! Wow..these are all so super cool..fabulous work!! 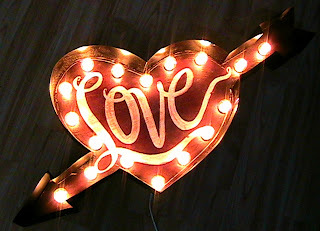 You are awesome..magical! !